The amazing thing about cannabis is the wide array of effects it can have on the human body which has helped fuelled such a large number of different cannabis studies. The big question scientists looked to answer was how can cannabis be so safe while offering such incredible effects, which led to the discovery of the endocannabinoid system. The reason cannabis has been used as a medicine for thousands of years is because of the recently discovered human endocannabinoid system. Ancient civilisations probably didn’t know the exact physiology of why cannabis worked so well for restoring health, but they knew it worked. The endocannabinoid system, present in all humans and many animals, consist of a series of receptors found throughout the body that are designed to only react and to and accept cannabinoids such as CBD and THC. These receptors are able to respond to a stimulus and transmit signals to sensory nerves. The cannabinoid system has many different functions but the goal is always the same, homeostasis, or maintaining a stable internal body environment despite changes in the external environment. This system was discovered in the mid 1990s by an Israeli researcher called Dr Ralph Mechoulam who also identified THC as the psychoactive element present in cannabis in the 1960’s. 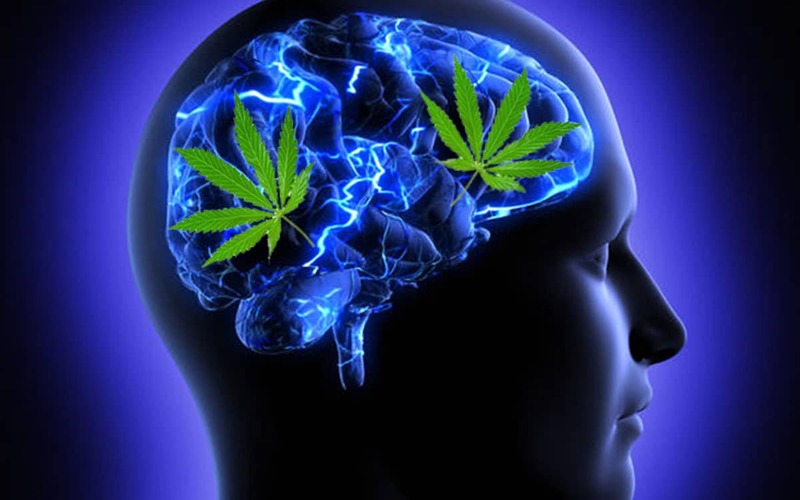 He discovered two main receptors called CB1 and CB2 which both play key roles in the endocannabinoid system that influences, pain, memory, appetite, as well as inflammatory and immune responses. CB1 receptors are primarily found in the brain and central nervous system while CB2 receptors are mostly found in the peripheral organs and cells linked to the immune system. A receptor can be described as a lock on the surface of a cell. When the correct key binds with the right receptors, it delivers a message such as the message of pain. These receptors are used to receive endocannabinoids that our body naturally produces as well as phytocannabinoids (plant based) such as CBD and THC. CB1 and CB2 receptors can only accept cannabinoids in order to fire which led us to find humans make our own cannabinoids. THC fits perfectly into CBD1 receptors which are primarily bound in the brain and explains it’s ability to create a high. CBD does not fit directly into CB1 or CB2 receptors but displays unexpectedly high potency as an antagonist of CB1 and CB2 receptors. This raises the issue of breaking down the cannabis plant into individual compounds and how they act compared to leaving them as a whole and experiencing a synergistic effect, having all the cannabinoids acting together as nature intended. The Endocannabinoid system is a chemical system, as opposed to the central nervous system which is electrical. Manipulation of the endocannabinoid system can control cancer, diabetes and strokes. In the future more people will probably be saved through the endocannabinoid system than surgeries. This system is still being discovered and understood but we know it is present in almost every animal species and plays a critical role in our existence. One use of cannabinoids and the endocannabinoid system would be at the site of an injury, where they can be found decreasing the firing of nearby nerve, calming immune cells, preventing excess inflammation and managing pain. What you may have heard called the “runner’s high” is actually an expression of the endocannabinoid system with your body making its own cannabinoids. 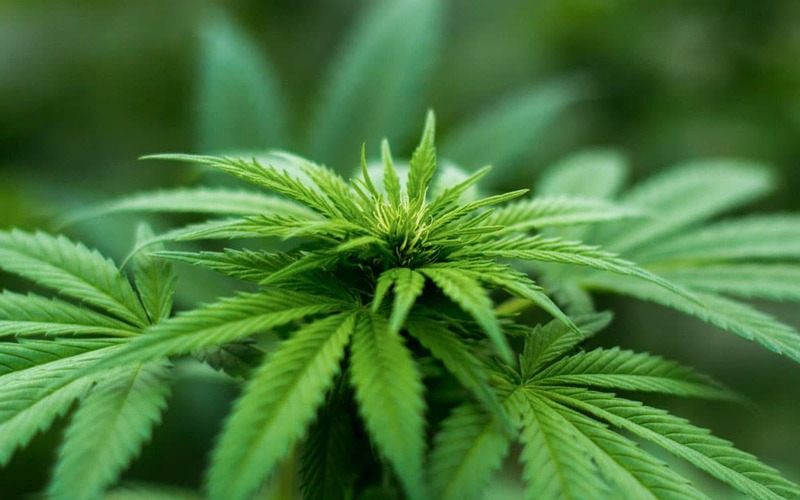 The cannabis plant makes a resin which contains cannabinoids that have the ability to bind to our own cannabinoid receptors and influence activity amongst them. Technically, the cannabinoids made by cannabis are called phytocannanoids, while humans make endocannabinoids but both influence the endocannabinoid system receptors. A optimally functioning cannabinoid system is essential for health. Research has now shown, consuming external cannabinoids can signal the body to make more endocannabinoids and build more cannabinoid receptors. The more receptors one has, the more sensitive to cannabinoids they may become so smaller doses can start to have larger effects. The two most famous cannabinoids found in cannabis are THC and CBD but there over 100 more that are best used together in its natural state than pulled a part and offered as single molecules. However the cannabis plant doesn’t directly make THC and CBD, rather it makes acids which are converted through some catalyst such as heat. When THCA, A for acid is heated, one gets THC and a psychoactive affect. In modern western life, people are becoming more inflamed through poor nutrition, environmental toxins and sedentary lives. As technology has evolved, we are becoming more lazy, using more harmful chemicals and eating quick and easy processed foods, all which have been shown to be pro-inflammatory. Chemotherapy can be a life saving option for some cancers, however as it kills cancer cells and immune cells, when the treatment stops, there is no immune system left to contain any remaining cancer cells which can thrive without an immune system to stop them. There are plenty of anti-cancer cannabinoids in cannabis that work best together, rather than just CBD or THC separately. As cannabinoid receptors are everywhere except the brain stem, no one has ever died from an overdose. There are ways for the substance to be used and disposed of all over the body so it is one of the safest therapeutic substances known to man. However the THC in cannabis can cause a high if not balanced with CBD and other cannabinoids which can result in anxiety and a loss of control. 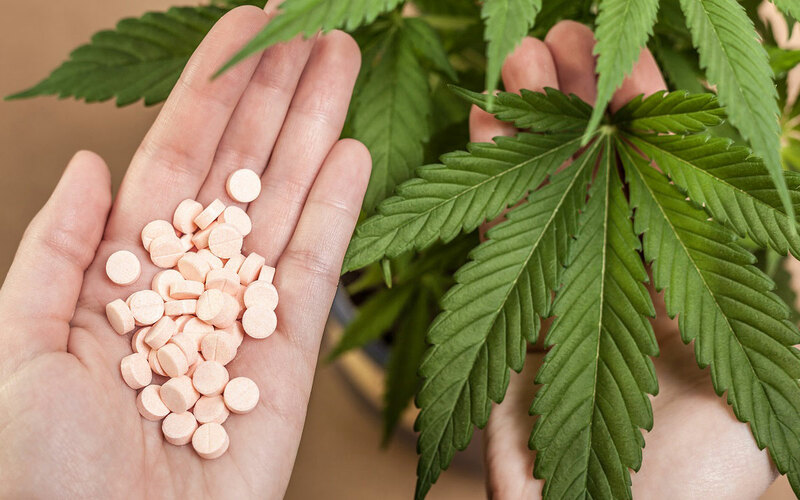 Cannabis can interact with pharmaceutical medication. Like with many chemical compounds, there will be some kind of reaction when put together. Caffeine for example has 82 different drug interactions, while even something as innocent as grapefruit has many drug interactions. Most cannabis interactions are very mild and some even have a positive effect and increase the effectiveness of a drug. However even if the interaction can be beneficial, it is always a good idea to seek medical advice and monitoring when consuming different drugs.